Hi Margo! Can you tell us a little about your latest book. When I was in college I attended my first hypnotism show. In an auditorium along with a couple hundred other students, I watched as fifteen guys and girls went on stage and participated in the show. The audience laughed and clapped and hooted when the hypnotized students did ridiculous things such as quack like ducks or sing like rock stars. It was great. Terrific. Until the end. While the participants were still completely hypnotized, the hypnotist turned to the audience and spouted his political views. He didn’t even try to hide what he was doing. He spoke clearly and abruptly. The people to my left and to my right sat in shock. My own mouth dropped open in disbelief. The hypnotist went so far as to tell everyone exactly how to vote in the upcoming election. I was dumbfounded. I felt like my trust had been violated, and I wasn’t even on the stage. I was not hypnotized. I was not in any sort of suggestive state. But those students in the show still were. And I bet there were plenty of others sitting in the audience who were impressionable from watching the hypnosis being performed. That’s the exact moment when I decided I would never willingly take part in hypnosis. Sure, that was an isolated incident. Some hypnotists are trustworthy. But not all. Some do not have a very high ethical code. And because of that, to this day, I hate giving up control to anyone, under any circumstances. I’ve never forgotten that college night, and it inspired my novel, UNLOCKED. I love telling stories, and I love being scared, especially when reading a book. It’s my goal to write thrillers that will give readers the goose bumps or the itchies or the desire to rethink everyday things. A Madness So Discreet by Mindy McGinnis ---- This was the type of book that was so utterly compelling that I could not start reading another book for quite a while afterward. The characters are still in my mind. I'm still thinking about the choices they made. I'm still thinking about what I would have done in their situations. WOW. There is SO MUCH great content in this story. It's about women's rights. It's about respecting other people. It's about respecting yourself. It's about defending the defenceless. It's about justice and injustice. Frankly, it's the best book I've read in ages. My children inspire me. Every day. In my office at my desk. I have a large window to my left, which looks out into my garden. Birds will perch on the fence, and the clear blue sky is just a glance away. Dean Koontz, for his page-turning thrillers. My desire is to write fast paced thrillers for the young adult audience. I love Idaho, especially when we go camping amongst the pine trees in the mountains of central Idaho next to a rushing white-water river. Best. Place. Ever. Margo is a native of the Northwest and currently resides in Idaho. A veteran public speaker, Margo is now actively pursuing her love of writing. Who R U Really? was her debut novel published by Merit Press (an imprint of F+W Media) in September 2014. 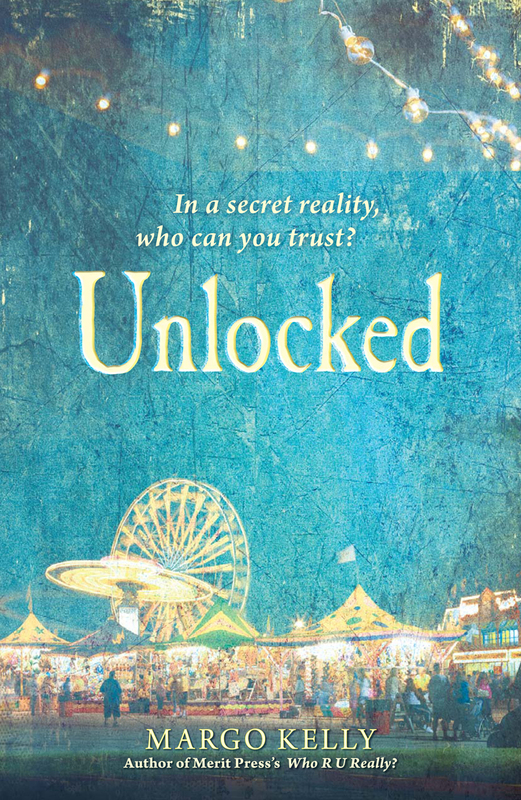 Unlocked will be published by Merit Press in October 2016. Margo welcomes opportunities to speak to youth groups, library groups, and book clubs. Margo loves to be scared … when she’s reading a good book, watching a good movie, or suffering from the hiccups. 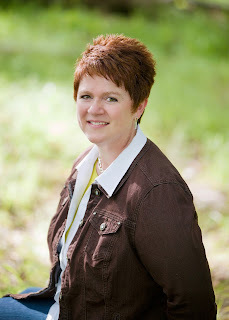 She enjoys writing thrillers for young adults and hopes her stories give readers the goose bumps or the itchies or the desire to rethink everyday things. Margo is represented by the not-so-scary, but totally awesome, Brianne Johnson of Writers House.